One of my favourite spots in the Cotswolds is definitely Broadway Tower. Broadway Tower is not as touristed as many other spots in the Cotswolds and if you are lucky enough to visit on a quiet day you may even be the only ones up there. 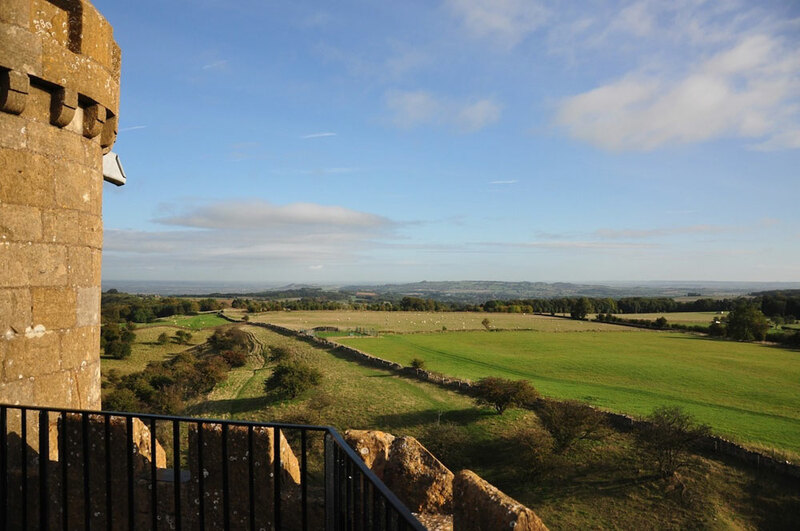 It is situated on the edge of Worcestershire but on a clear day affords views of 16 different counties, more than any other spot in the UK! Nearby are Broadway and Snowshill, both beaituful Cotswolds Villages in thier own right. 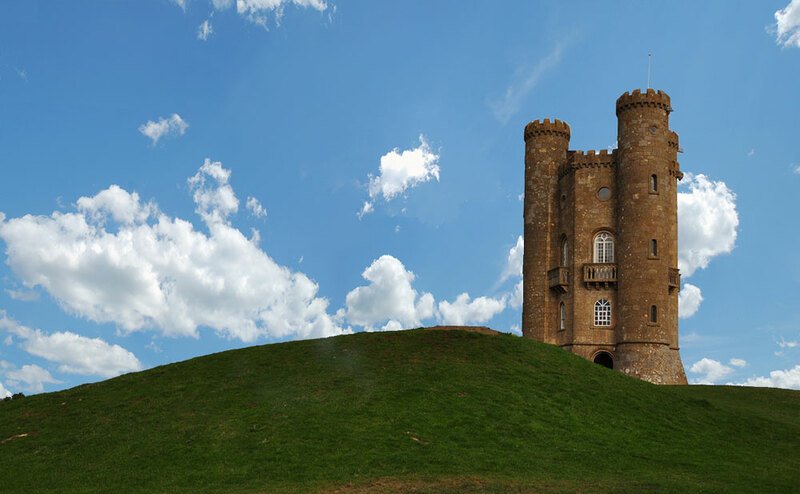 Built in 1798 for Lady Coventry, Broadway Tower stands 20 meters high on the top of Fish Hill, and at 302 meters above sea level it is the highest tower in the Cotswolds area, and the second highest spot after Cleeve Hill. It was designed in the style of a Saxon Castle by James Wyatt and over the years it inspired and became popular with figures such as William Morris from the Arts and Craft Movement who would often use it as aholiday reteat. Due to its height and location it was also used as a vantage point in the First and Second World Wars and a nucleur bunker was also built there for use during the Cold War period. Nowadays Broadway Tower is a popular tourist destination accesible by car, bicycle or the Cotswolds Way hiking trail. Inside the floors are full of interesting displays detailing the varied uses it has had over the yearsb and the vsiour people that have become associated with the tower in some way. 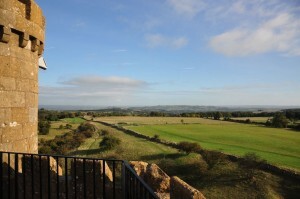 We highly recommend a visit to Broadway Tower, you most definitely will not be dissapointed. A few of our Cotswolds Tours visit Broadway Tower so why not join us on a cycling or driver-guide Cotswolds Tour that hits the Tower and many other cool spots in he Cotswolds!